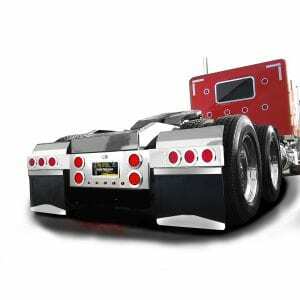 Light up the road with these stainless rear center panels from RoadWorks! 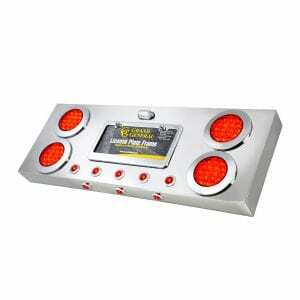 High quality stainless steel products with a limited lifetime warranty that help you lead the pack. Many different options to choose from. Mounting hardware included. 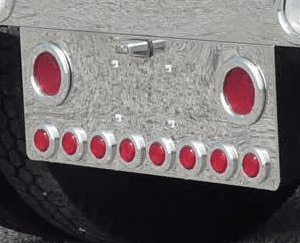 The Stainless Steel Rear Light Panel w/ 4" & 1" LEDs & Under Glow Effect is built from high quality materials and is perfect for operators who are looking to put some extra chrome on their trucks and increase safety.